There is much to love about the Internet. But there is much, as well, to dislike — and/or to be annoyed by, and/or to resent, and/or to mistrust. In late June, the Q&A community Mancx decided to put numbers to those Internet-borne vexations. The firm conducted a survey of 1,900 American adults — adults who self-identified, it’s worth noting, as people who specifically search for information on the Internet. A group full of shoppers and cat-picture-seekers might have yielded different results. Per Mancx’s numbers, however, the Internet as an information source leaves a lot to be desired. A whopping 98 percent of respondents don’t fully trust the information available on it. Which is a good thing, overall — skepticism! 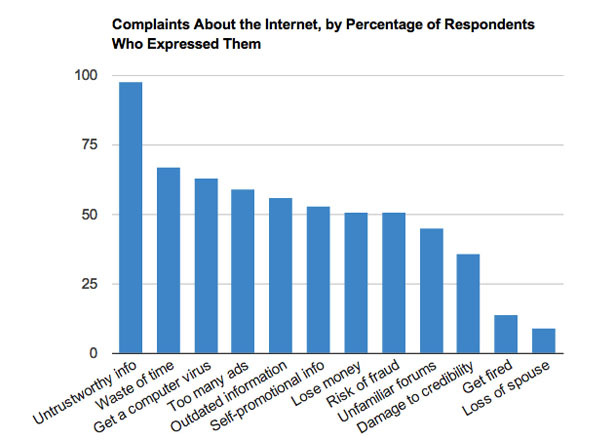 — except that 94 percent of respondents also noted the many negative effects that the Internet’s bad intel can have. Everything Americans Dislike About the Internet, in One Chart – Megan Garber – The Atlantic. FlavorwireÂ went on the hunt for libraries that were born from unused and abandoned structures, from the large (drill halls and supermarkets) to the small (phone booths and shipping containers). 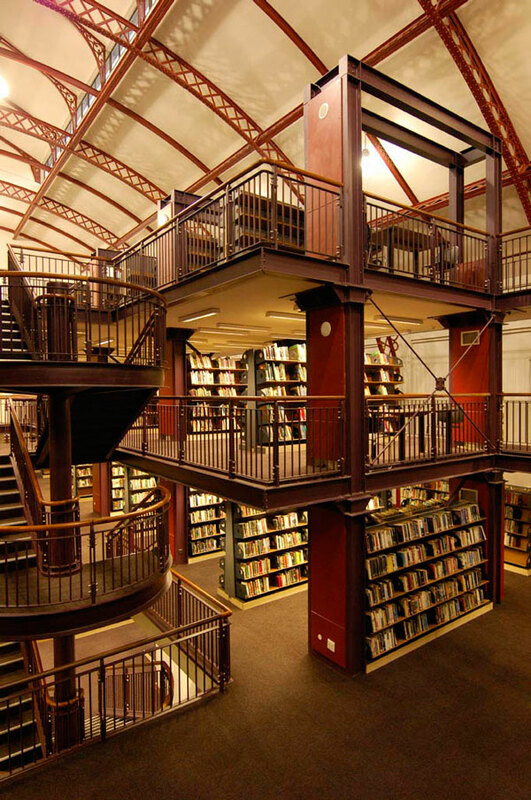 Flavorwire Â» 10 Wonderful Libraries Repurposed from Unused Structures. Latest Library-related report from Pew says that 12% of readers of e-books borrowed an e-book from the library in the past year. But a majority of Americans do not know that this service is provided by their local library. Big Data: Experts say new forms of information analysis will help people be more nimble and adaptive, but worry over humansâ€™ capacity to understand and use these new tools well. Tech experts believe the vast quantities of data that humans and machines will be creating by the year 2020 could enhance productivity, improve organizational transparency, and expand the frontier of the â€œknowable future.â€ But they worry about â€œhumanityâ€™s dashboardâ€ being in government and corporate hands and they are anxious about peopleâ€™s ability to analyze it wisely. via The Future of Big Data | Pew Research Center’s Internet & American Life Project.